The name of the series is Ditmas Lit. We floated around some ideas that were a little more clever, but we ultimately decided we wanted something easy to remember that gave a shout out to the neighborhood. Rachel Lyon and Sarah Bridgins founded and run the series. We’re open to all genres. Fiction, Non-fiction, poetry, storytelling, and anything in between. The two of us host it together and we have four readers who read for 10 minutes each, with a short break in the middle. It takes place in The Lodge at Sycamore Bar and Flower shop. Sycamore has a backyard and in the winter they put a big tent over it and transform it into this great space that feels like the living room of a cozy cabin. There are heaters to keep everyone warm and comfy couches and chairs. It’s a great place to host a reading. Right now it’s going to be on the third Tuesday of the month from December-March. Ideally we would like to keep it going past then though. December 20th is our first show! Our website is www.ditmaslit.com. We also have a Facebook page, and we’re active on Twitter. We’re currently soliciting material, since the series has a limited run. If we end up extending it past March, however, we would like to start opening it up to submissions. We really just wanted to create a welcoming space that was equal parts reading and social event. That’s why we’re striving to keep the show around an hour and a half. No matter how great the writers are, audience members start to get restless after a while, and we want to give everyone time to hang out, have a drink, and get to know each other. Sarah used to be a literary agent, and she sees this as a new way for her to continue promoting the work of talented writers and to help foster connections between people in the community. Our biggest priorities are that the show reflect the diversity of Brooklyn and its creative community, and that everyone just has a great time. We want people to come to the show because it’s a fun way to spend an evening, whether they’re writers coming out to support their fellow artists or just people in the neighborhood looking to for something different to do on a cold night. As far as we know, we’re the only series in Ditmas Park, which is a neighborhood where a lot of writers live. We’re also actively working on featuring a real diverse variety of readers and storytellers—not just in terms of their backgrounds, but also in terms of their work and their level of exposure in the literary world and beyond. 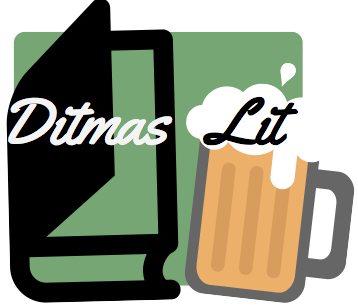 The inaugural Ditmas Lit will be on Tuesday, December 20th, 2016 at Sycamore Brooklyn from 8 p.m. to 10 p.m. and feature Isaac Fitzgerald, Jeanne Thornton, Garbrielle Moss, and Tommy “Teebs” Pico.